Hi, I am new in fritzing 0.9.2. I opened the blink example. I am able to check all available views (schema, pcb, ode, etc…) but I’m not able to understand where I can run the blinking simulation. Hi Marco, I’m sorry but there is no circuit simulation in Fritzing. See http://fritzing.org/faq/. Try Linear Systems LTSpice it is free, full featured, and unrestricted in use. Try http://www.linear.com to download. There is free circuit simulator available from AutoDesk called 123D circuit. I used it before I discovered Fritizing. HOWEVER, it is very limited when it comes to integrated circuits. Common components like a 555 timer are supported, as well as some simple logic gates like AND and OR gates. Arduino IS supported. Breadboarding in Fritzing is much better. I’m having a major problem with this software. After saving a schematic, it loads back in with corruption, and all attempts to edit the problem areas just scramble the connections. Saving the corrupted version as a new file results in even more corruption when reloaded. It is mostly IC’s that are affected – they shift left, but when highlighted there is a second footprint, like a shadow. Moving the IC back where it belongs results in the connections being messed up. Deleting and replacing the IC doesn’t work either. I tried loading the schematic into version 08 in case it was a new problem, but with the same result. It seems that the corruption occurs when saving, so what can I do? We’re currently trying to fix that. The workaround is that once this happens, do not save the file, but just close it and reload it. It only happens every now and then, which is also why it is so hard to track down. Hi, I am new at fritzing. I was wanting to design a pcb, print it out and do the toner transfer method and etch the pcb myself. Will this program let me do that. Yes, that’s one of the main features. There’s a dedicated “Export for DIY production”, which gives you black on white traces in PDF format. I need to display curves under Gerber Single and multi quadrant mode. Any ideas? Is there a newer version? I might be interested in fixing it in source but where is it ? Is there a way to use screen print style symbols to place components on PCB’s and breadboards? The pictures look very nice but obscure everything else. Is it possible change the menu bar’s language to English? The preferences option is disabled. This should be possible via the Fritzing > Preferences menu. Possibly try downloading again. If the issue remains, please post a report to https://github.com/fritzing/fritzing-app/issues with as much detail as possible. Hi! I’m new with “Fritz…” and old with PCB’s, (made my first hand made PCB’s some.. early 80’s. No computer’s then???? GEEE…. those were interresting times). Have since then used many..many..many PCB layout CAD-programs. You just name it and I’ve used it :). Now I just “stumbeled ” ower this “Fritz”, and got surprised ower the “neat-ness” of it. Sure, it isn’t a tool for making “seriously” aimed PCB-produktion, but it fills a “really” good purpose for PCB-creation. 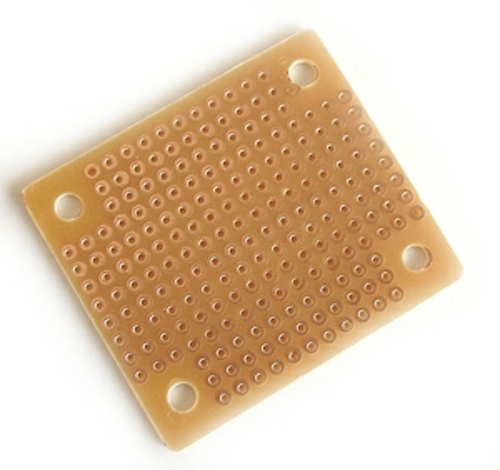 Specially I “LOVE” the switching possibelity between the breadboard —– schem — pcb. from ***.jpg ***.tif etc.. how can I do that? In the breadbord-mode, how do I get them curved lead’s ? Thanks. 🙂 Best to post your questions as individual posts in the user forum! You need vector graphics for creating parts, but it’s not so hard. Curved wired are achieved by holding the ctrl-key and then dragging an endpoint of a wire. I have been reading the PCB lately and getting to know a lot through these sort of discussions. a very helpful website indeed. Hi i am using 0.9.3. works ok, but i like to change the components. That is not posible yet. I like to change the legs of the components because i think that they are to long when i use a stripline board. Is there a solution? Ich versuchte fritzing.0.9.3b.32.pc auf XP (ServicePack 3) zu starten und bekam die Meldung, eine ominöse “api-ms-win-crt-runtime-l1-1-0.dll” fehle. Die Vorgängerversion …2b… startet einwandfrei. Was ist da falsch? i’m really not sure of the measurements i did for a board like these , can anyone help me? I enjoy reading a post that will makke people think. Also, thanks ffor permitting me to comment! The reason behind this, using this script was minimised to local users together controlled functionality. As far as features and reliability are worried, Just – Host keeps uup o their promises. having guarantees that are bigger for every single tournament that they can participate in.